Lady is a photographer who makes photos with girls sitting in cake. I changed that a bit and put her in a cake. 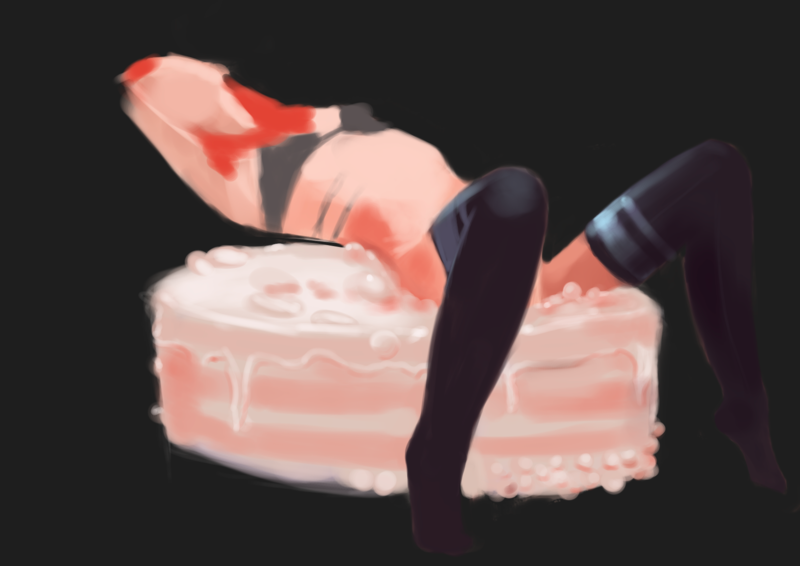 Red-haired girl resting on a huge cake.